Built on the ancient city of Telmessos, Fethiye boasts a magnificent setting on Turkey's southwestern Turquoise Coast. 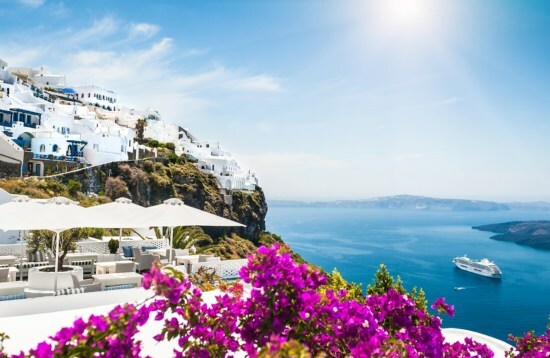 It lies where the Mediterranean and Aegean Seas meet, with inviting blue waters and ancient rock tombs carved into the surrounds. The ancient city became part of the Persian Empire in 547 BC and later became an independent city, with the acropolis being captured by Alexander the Great in 334 BC. Little is known about its developments during the Byzantine era, although it appears to have flourished during the late Antiquity before being largely abandoned during the 7th and 8th-century Arab-Byzantine Wars. The region fell to the Turks in the 12th century and became part of the Ottoman Empire in 1424. The city was renamed “Fethiye” in 1934, honouring the Ottoman Air Force pilot Fethi Bey who was killed tragically during a mission. Today alfresco restaurants and artisan shops line the pedestrianised town centre of Fethiye, with a picturesque waterfront boulevard where you can watch the yachts coming and going. Be sure to stop in at the Museum of Fethiye that exhibits a fascinating collection of ancient artefacts detailing the successive civilisations that have inhabited the city. Then wander the ancient ruins of Telmessos that include a Hellenistic theatre and the Tomb of Amyntas. 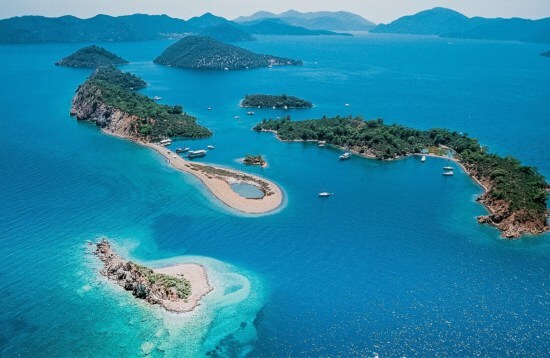 Fethiye is a popular launching point for Blue Cruise gulet trips along the coast. To the south of the city lies the sheltered lagoon of Ölüdeniz Beach and the magnificent nature reserve of Butterfly Valley. 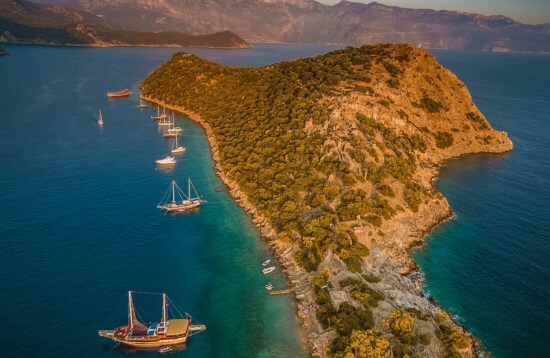 Explore the natural bays and stunning scenery of Aga Limani and Paradise Island, as well as the Gocek Islands and vibrant Marmaris. Cruise to the sunken ruins of Kekova and the 4th-century acropolis and sarcophagi of Üçaǧız before soaking up the views from the medieval Kaleköy Castle. You can embark on a Blue Cruise to the ancient metropolis of Olympos to wander its Hellenistic temples and bathhouses, then spend the night sleeping in one of its famous tree houses. 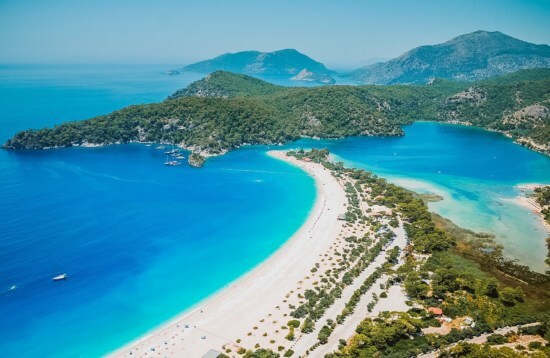 Fethiye is the gateway to the magnificent “12 Islands”, with cruises offering plenty of opportunities to swim and snorkel in the crystal clear waters. Visit the ruins of Tersane Adası (Shipyard Island), go swimming at Kleopatra Hamamı (Cleopatra's Bath) and indulge at the mud baths of Kızılada (Red Island).